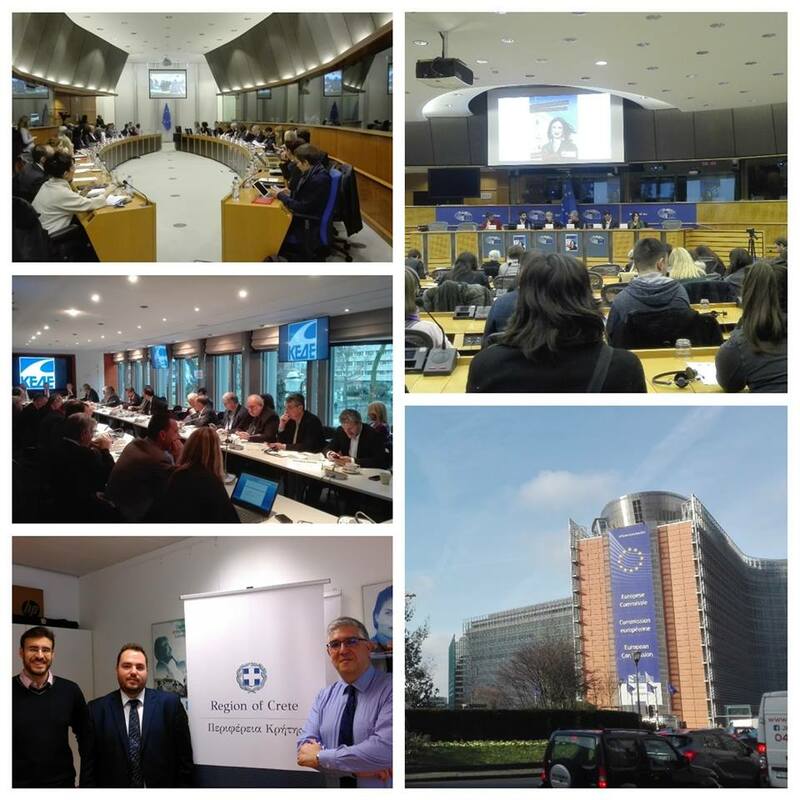 After the end of all activities of the project “Reinventing Solidarity Raising Tolerance- RESTART”, that were implemented in the framework of Europe for Citizens Programmed and funded by the European Commission – the team of the coordinators, the Institute of Research & Training on European Affairs-I.R.T.E.A.- visited the European Parliament, using the consultative status that the Institute holds, in order to disseminate the Project’s results. More specifically, on Tuesday, January 30th and Wednesday January 31st, the team of IRTEA visited the offices of the Greek MEPs Mrs. Eliza Vozemberg, Mr. George Grammatikakis and Mr. Miltiades Kyrkos, in order to present them the Policy Paper that was produced with the results of the RESTART Project. The MEPs, who have participated in previous phases of RESTART as well, showed great interest in the visits that were held during the Pilot Activity at the refugee hosting centers and camps, as well as at the outcome of the Simulation Game. The Policy Paper contains the thoughts and concerns of the young participants regarding the refugee crisis, as they were expressed and debated during all the phases of RESTART Project. In addition, in expresses the issues that were addressed during the refugee crisis, as well as recommendations on the amelioration of the living conditions of the refugees, the elimination of the problems caused to the society, as well as on the best management of the crisis on a local, national and European level. The MEPs underlined the utility and the importance of implementing such actions, as it consists the best way of widely informing both the citizens and the political authorities on the refugee issue in Greece, while young people are given the opportunity to speak up, express their opinion and suggest solutions on an important national and European issue. Last but certainly not least, IRTEA was present at the conference “Busting some myths” with the MEP Mr. Kyrkos and the President of the Committee of Political Freedom Mr. Claude Moraes, that was held on January 30th and was about the refugee crisis. In the framework of the conference, they had the opportunity to listen to the speeches of the participating MEPs, watch a documentary, get informed on the new actions of the European Union regarding handling the crisis, but also discuss with partner organizations and other participants, and inform them about the outcomes of the Policy Paper of RESTART Project.